Looking for a home renovation contractor? It’s not an easy decision. You have many contractors to choose from, but picking the wrong project can turn your dream project into a nightmare. On the other hand, the right contractor makes the process a stress-free, pleasant experience. You want a contractor who takes care of the headaches for you and ensures things go smoothly. Do they stand by their work? 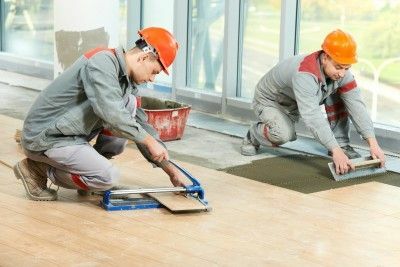 A top-notch contractor is proud to have their name on the project, and will gladly guarantee the quality of their work. Our Dream Assurance Plan gives you peace of mind, knowing we promise you total satisfaction with the project. How is their reputation? Word of mouth is important, and you want a contractor with a history of happy customers. Our clients rave about our work, and would be happy to tell you about their wonderful experience with our team. What is their work process? Mistakes and problems are often caused by lack of communication. You want a contractor who keeps you informed—and asks lots of questions—throughout the entire process. To further ensure everyone’s vision is the same, we also provide 3-D renderings and detailed sketches as a visual representation of the project. We’d love the chance to prove to you why we should be your home renovation contractor. Contact us to discuss your next project.